Egypt is one of the major tourist attractions in the world. Tourists come to Egypt not only for its rich history but also for the massive structures that continue to impose themselves on the region, even after thousands of years have passed. Cairo is home to the most iconic skyline in Africa and it only continues to grow! Currently, there are more than 1,400 active construction plans that are ongoing in Egypt, costing about EGP 248.2 billion. Seemingly, the economy of the country is getting on its feet again! It’s the tallest building to be constructed not only in Egypt but in Africa. 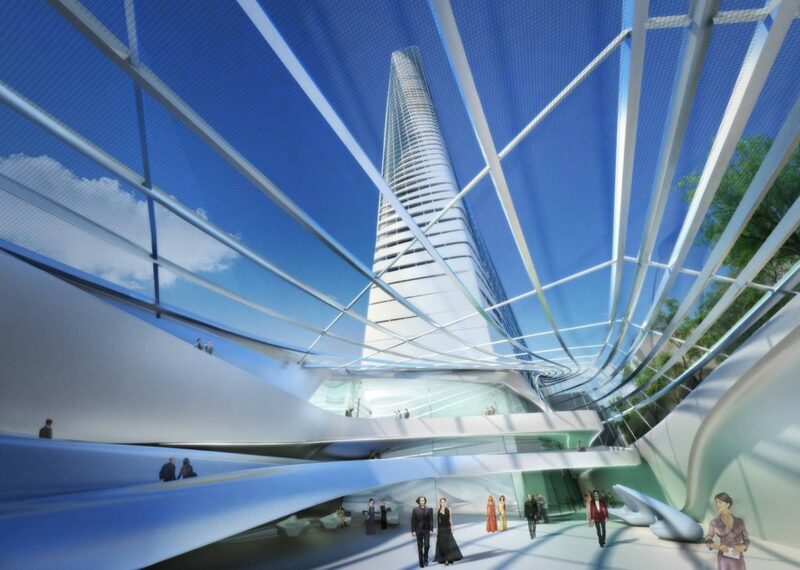 The tower was designed by the late Iraqi architect Zaha Hadid back in 2007. It is meant to be part of a plan to transform the district between Downtown Cairo and the Nile River to an upscale area; the process of building it will cost about $150 million overall. The Nile Tower is meant to transmit Egypt’s growth to the world. It will change the world’s perception of Egypt; more economically strong which will attract more investors into the country. When this tower is fully built, it will make Egypt the home to Africa’s tallest building. Throughout the past 50 years, the Cairo Tower has been the tallest structure in Egypt and Northern Africa towering over 187m over the city. It offers an amazing view of Egypt’s capital, it’s best to go to the tower’s circular observation deck for a magnificent view of the city, and its always a plus to check the revolving rooftop restaurant and bar. 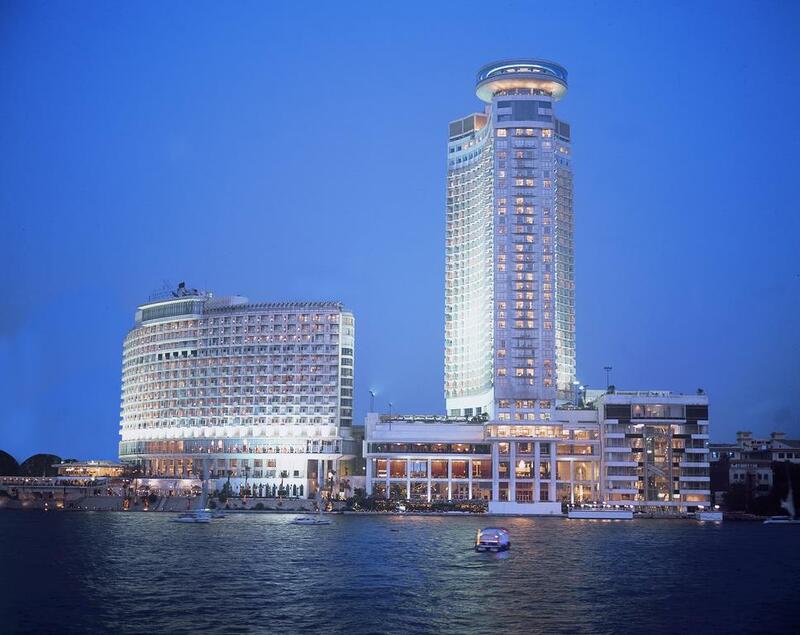 It’s one of the best luxury resorts and hotels in Cairo and it’s part of the global Fairmont brand. Fairmont offers an interesting range of contrasts, just like Cairo’s. It’s designed with the latest technology to meet all your needs! Not to mention its stunning view of the Nile and, of course, the Pyramids. This experience allows you to enjoy Cairo’s natural beauty, as well as its ancient history, all in front of your eyes while staying at their luxurious rooms. Maspero is the name of the huge building on the bank of the Nile; it’s the headquarters of the Egyptian television and the oldest governmental television in the Middle East and Africa. However, 2019 will be the year when the plan to develop the Maspero Triangle area begins. Its location will be between the Hilton building and the radio and television building. It’s meant to present Cairo with its new theme while providing it with brand new facilities. The new Maspero area will take about 30 months to be completed; it will include the construction of a new residential district with leisure activities, as well as hotels, green areas, and more. 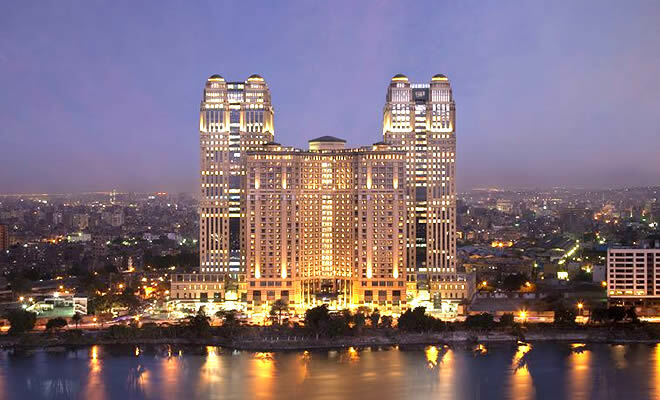 The luxurious landmark of Grand Nile is the prime location of central Cairo; it was opened in 2001 showcasing a unique French design. It’s located on the edge of the Nile, in Garden City, set on a cultural area only 15 minutes away by foot from Tahrir Square. There are many tourist attractions nearby worth visiting such as the Egyptian Opera House and the Cairo Tower. The Nile City complex is a definite example of Egypt’s corporate success. Its design links both historic and traditional Levantine architecture in a unique way. Its height is about 466ft and 34 floors each. The towers are located on the Nile banks, both facing each other. The entire structure offers two offices, a shopping mall, a five stars V-shaped hotel and residential apartments on the top floors. Memaar El-Morshedy, in cooperation with the international real-estate developer Mohamed Hadid, has announced that Egypt is going to be the home of the world’s biggest skyline. The construction will take about seven years to be completed, however, the first phase is expected to be completed in three and a half years. It’s not going to be just a skyline, it’s expected to be a town or a compound on its own. The establishment of the skyline will be located in Maadi, Cairo. Also, it will offer its residents different entertainment options, from cinema to ice skating arenas, as well as the biggest infinity pools. WE SAID THIS: Egypt is best viewed from the top!